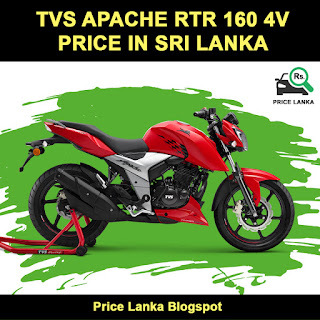 The New TVS Apache RTR 160 4V Bike Price in Sri Lanka 2019. TVS Apache RTR 160 4V Standard Model mileage / fuel efficiency can be expected to be around 30-38 kmpl. TVS Apache RTR 160 4V is powered by the powerful 160 cc, 4-stroke, 4-valve, the oil-cooled engine that deliver power of 16.5 bhp with 113 kmph Top Speed. 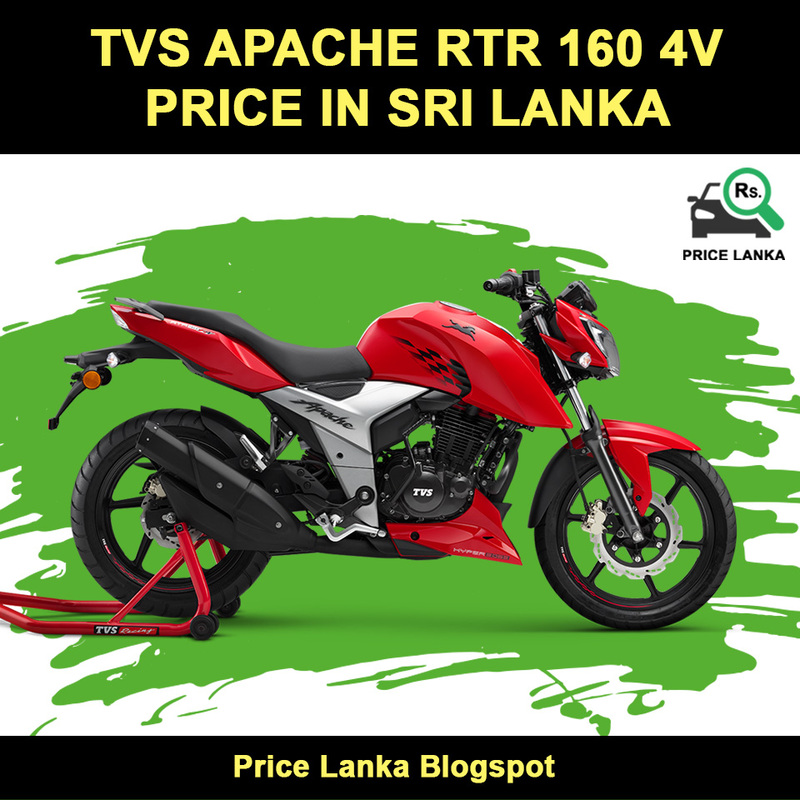 However, the ABS and FI (Fuel injection) Model of Apache RTR 160 4V is not available in Sri Lanka now. TVS Apache RTR 160 4V is well design naked street bike with good performance. New RTR 160 4V competes against the Yamaha FZS V3 ABS, Suzuki Gixxer 155 ABS, Pulsar NS 160 Twin Disc and KTM Duke 125 ABS in Sri Lanka. TVS Lanka (Pvt) Ltd is the authorized distributor for TVS Motorcycles in Sri Lanka and available in all sales outlets across the country.